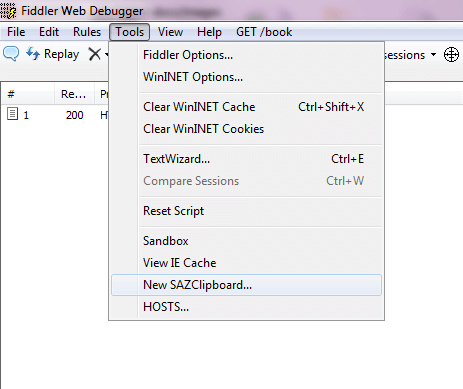 The SAZClipboard is a simple extension that allows you to open a .SAZ file outside of the main Fiddler UI. You can then drag sessions between this clipboard from the Fiddler UI. This may be useful if you're using the Fiddler Request Builder or AutoResponder features, both of which accept drops of Fiddler sessions for reuse. 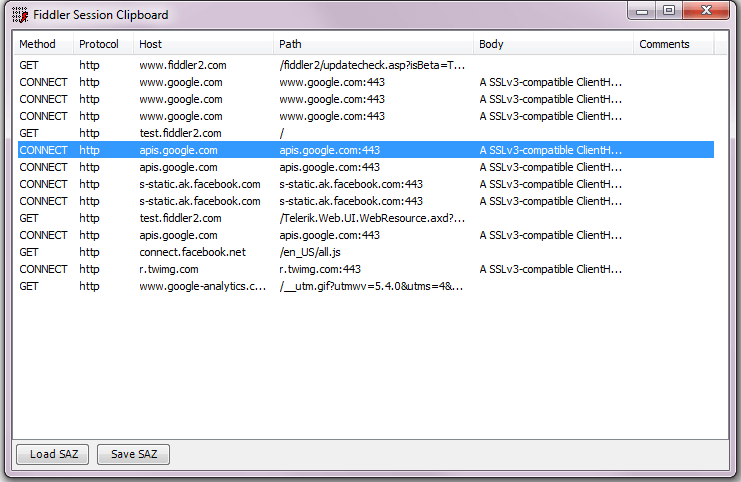 Open the SAZClipboard Window from the Tools Menu. You can drag and drop from the Fiddler session list to the SAZ clipboard form, or load a SAZ directly into it using the button at the bottom. Launch it from the Tools menu. Just drop SazClipboard.dll into your C:\program files\fiddler2\scripts folder and restart Fiddler. Source is provided, so you can update as desired.